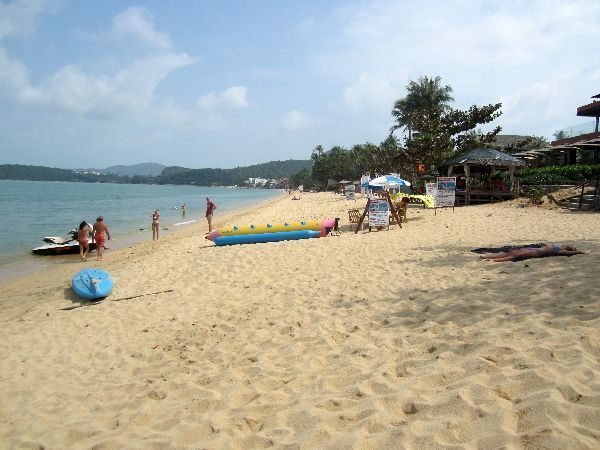 The area referred as Bophut Beach has two distinct parts – Fisherman’s Village which sits towards the eastern end of the bay and Bophut beach which runs from the village out to the west. The former has a rather quaint appeal with a bunch of mid-range to upmarket restaurants, boutiques, cafes and bars, while the Beach is a long, drawn out affair that is host to a row of rather flash resorts with a few budget orientated guesthouses still holding out. Lined with attractive wooden shopfronts, Bophut’s Fisherman’s Village has a very pleasant feel to it and remains one of the favourites among Ko Samui’s expat community. This popularity is reflected in the prices which can be a little higher than elsewhere on Koh Samui. 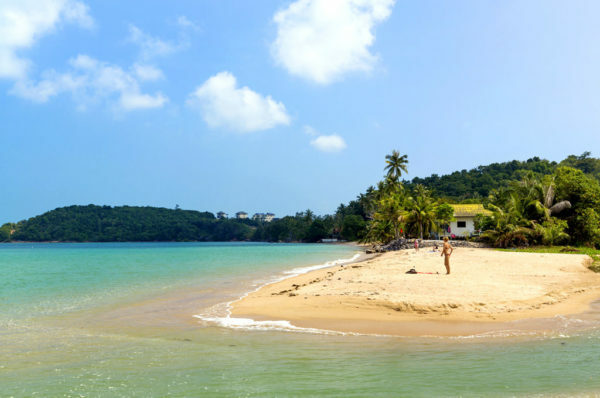 On the up-side, there’s less of the sleaze and company-for-sale that you’ll find on most of Koh Samui’s other beaches, and the whole bay retains a distinctly family-friendly atmosphere. There’s loads of watersports to indulge in and the beach – gently arcing along the water’s edge – is lapped by calm waters most of the year. There’s a range of guesthouses and hotels to choose from along with the already mentioned fine choice of eateries and bars – overall making Fisherman’s Village a fine choice, though note that while it is known as Fisherman’s Village, the only fish you’re likely to see here are the ones on your plate. The beach directly out from the village is not very nice at all and not recommended for swimming, but to the west the beach improves considerably. While there are some budget places hanging on, most of the accommodation further along Bophut is mid-range to up-market fare — if you’re after a budget bungalow, Maenam, just around the point to the west is a better option.